Check out the *NEW* BrillKids Downloads Library! - . :Early Learning Community:. 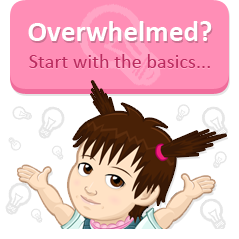 BrillKids Forum > BrillKids Announcements > Check out the *NEW* BrillKids Downloads Library! Check out the *NEW* BrillKids Downloads Library! Check out the new BrillKids Downloads Library! If you're wondering why the download libraries at the BrillKids Forum were down for a few days, that's because we've moved all the lesson files to an all new BrillKids Downloads Library! We've reorgranized the files into one centralized location to make navigation easier and more intuitive. Hopefully you'll find exactly what you need in a jiffy! Most importantly, we've fixed a TON of bugs to ensure a problem-free library browsing experience for everyone! Kindly note that the library is currently in BETA - this means there may be a few bugs here and there, but you can add, view or download anything you want from the library now. In case you find an error or a broken link, please let us know so we can quickly fix those pages! NOTE: Little Musician downloads are not yet available. Stay tuned for updates! The new interface looks gorgeous and so neat, best of all; now I can see what I'm downloading before I download - it makes a big difference for me, thank you so much! Wow this is so cool. We purchased LR and LMs but have not downloaded any file. Now this is a good start for us. Thanks!!! 2. What are the file extensions of your downloaded files? (*.cat or *.pl)? 3. Which browser and browser version are you using? wants to charge for files I provided or have already downloaded. Where one users has loaded numerous related files. Like numbers one to one hundred grouped by 5's and has numerous files, can these be put into folders so they can be more easily downloaded and so we can see easier the other files available. I would like to upload some Spanish LR files that I have prepared, but I haven't been able to do it. The "Add a Download" link does not take me to any form. I don't know what I'm doing wrong! So sorry for missing your posts! You're not supposed to get charged for re-downloading any premium file that you've downloaded before. Kindly write to us at support[at]brillkids[dot]com with the names of the specific files you ended up "paying" again so we can correct those errors for you. At the moment the files in the Library are filed by subject/topic and by language - for example, a Spanish "Shapes" file will be filed under Art, Shapes+Colors, and under Spanish. 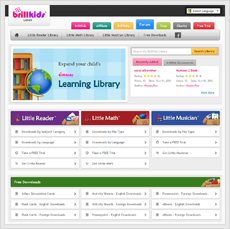 The Library also has dedicated sections for Little Reader, Little Math and Little Musician files. In case it helps, there is a blue "Hide Downloaded" button at the top of each Library section's page - just click on it so you'll only see the ones you haven't downloaded. Wonderful Post. Thank you so much for sharing this!!. If you are looking for any custom dissertation writing service or formatting services you can choose our EduBirdie dissertation formatting service to get best custom dissertation paper at affordable price. Nice post. I am so happy to come across this website. It's my first time visiting this website and i found it exciting. Since i am a professional writer working in custom essay writing service, i am always busy in writing the essay assignments to college students to help out to get a good grade for their academics. If you are a students tired of writing your essays, then choose our custom dissertation writing service to complete your paper at a reasonable price. They are the most reliable writing service that provide professional quality articles to the students of various level.